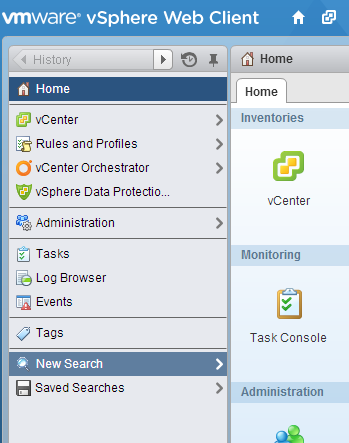 The ability to search vCenter inventory from the vSphere Client has been available for at least as long as I have been using it but each time you wanted to search for something you had to recreate the query. The Web Client provides the same search functionality adding the ability to also save commonly used searches. This allows for regularly used queries to be recalled quickly using the Web Client. 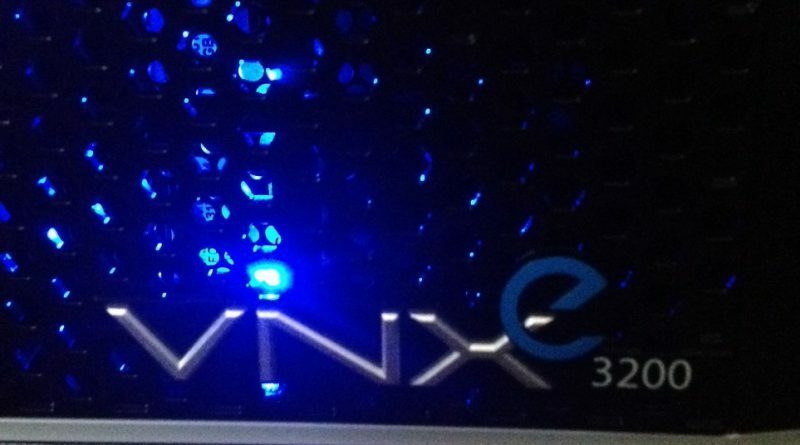 This first PowerCLI script creates a new Data Center in vCenter inventory and adds a list of ESXi hosts to the new Data Center. 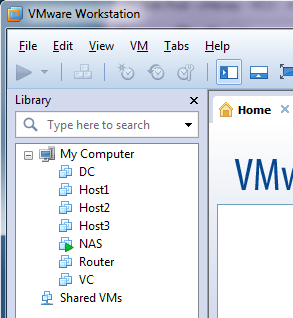 Nothing real fancy here but the script does help speed up adding ESXi hosts to the vCenter inventory. 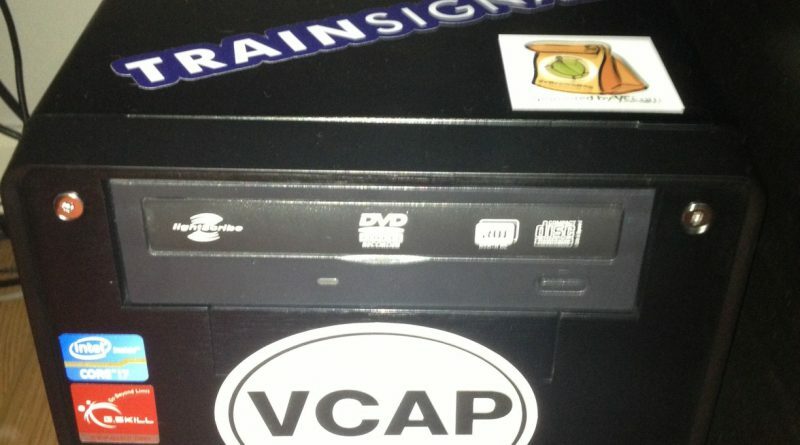 vSphere HA Protection: Protected? or Not? So I set the restart priority of one of my VMs to disabled. 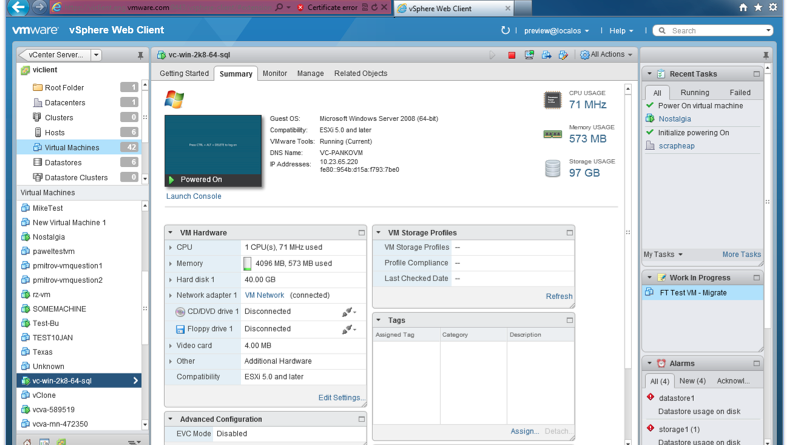 HA reconfigured and the VM still showed protected. Hmmmm, shouldn’t show protected anymore, right? 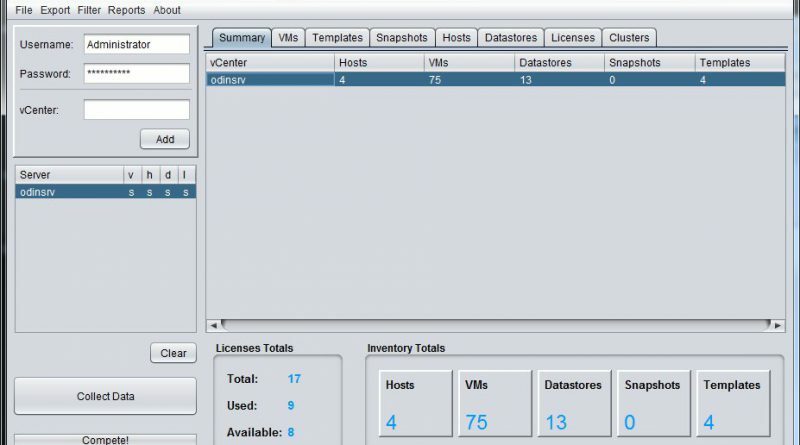 The VCAP5-DCA Blueprint has objectives on working with ESXi Image Profiles and configuring VMware Auto Deploy which are both new features that were released with vSphere 5.
oneVirt Viewer is a handy “cross platform” configuration data collection tool for vSphere 4 and 5. It is written in Java and can be used on Windows, Mac, and Linux.